With Hinge tools, you can eliminate costly hardware, fitting and line-up assembly. They allow you to fabricate complete panels with their own integrated hinges. 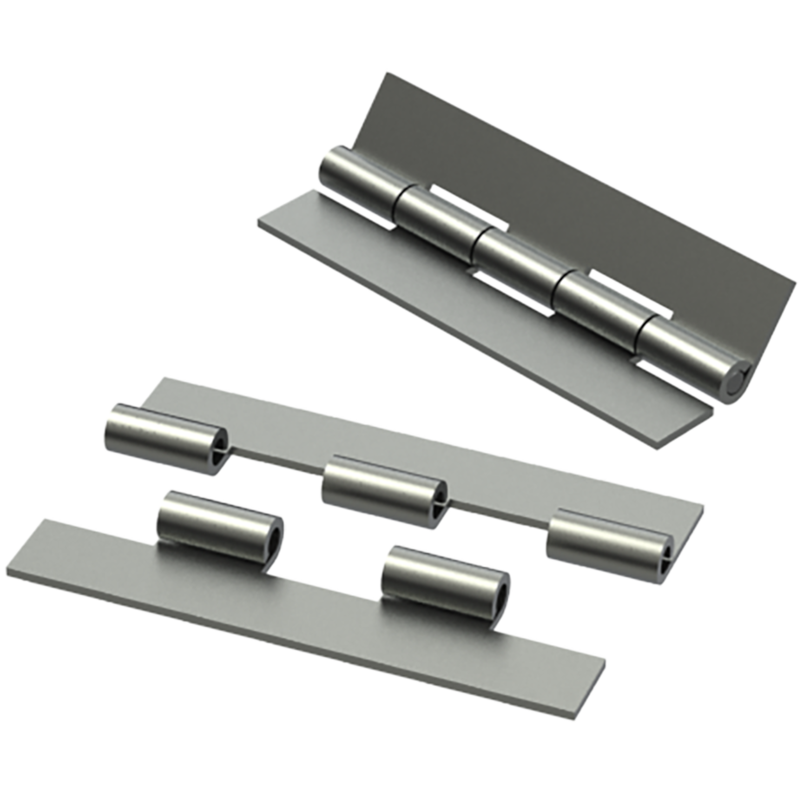 Depending upon your application, a hinge can be completed on the edge or in the middle of the sheet. In order to compete in today’s world, manufacturers need to be more productive. Wilson Tool International’s selection of groundbreaking tooling solutions for the TRUMPF-style punch press offer the best that modern fabrication has to offer. A-Plus forming tools, Opti-Bend flange tool, and the TRUMPF-style tapping tool are just a few innovations from our special tooling selection that help fabricators get ahead. No matter how unique your application, Wilson Tool can design and manufacture TRUMPF-style tooling to your specifications. If you don’t see what you're looking for here, bring your challenging application to our tooling technicians and we will work with you to create the best solution. From the 2-4-1 Tooling System to our Multi-Tools, Wilson Tool offers a wide variety of tooling for your Trumpf-style punch press.